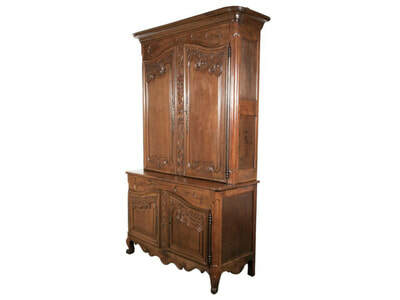 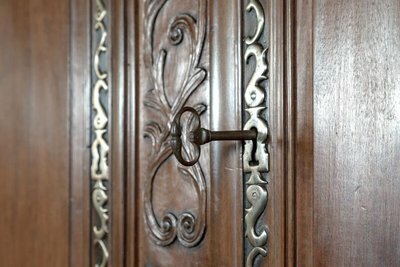 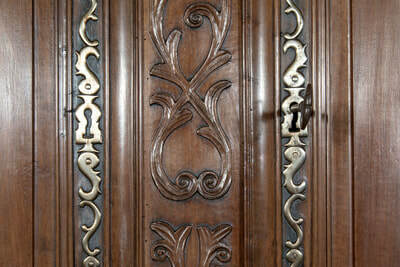 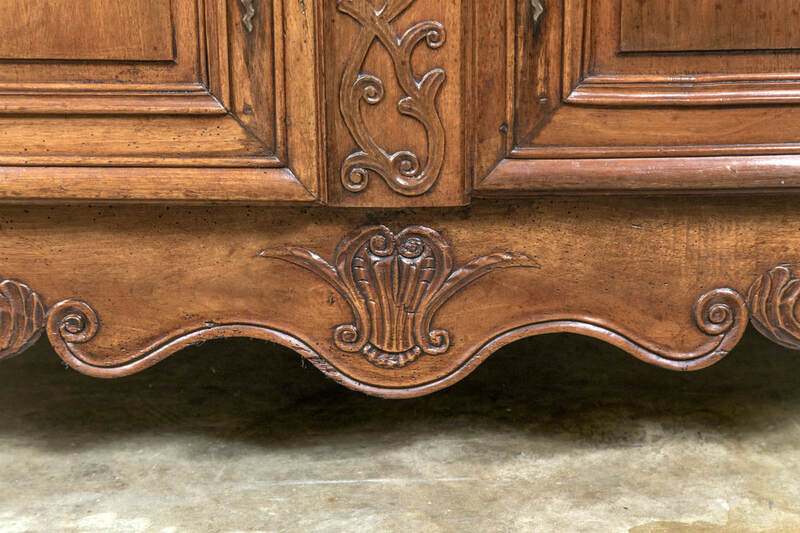 Monumental 18th century country French Louis XV buffet deux corps handcrafted by talented artisans in the Loire Valley. 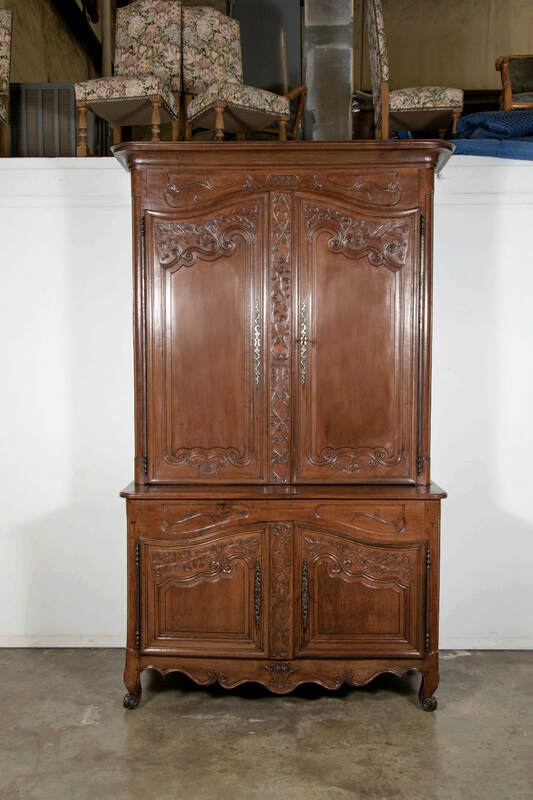 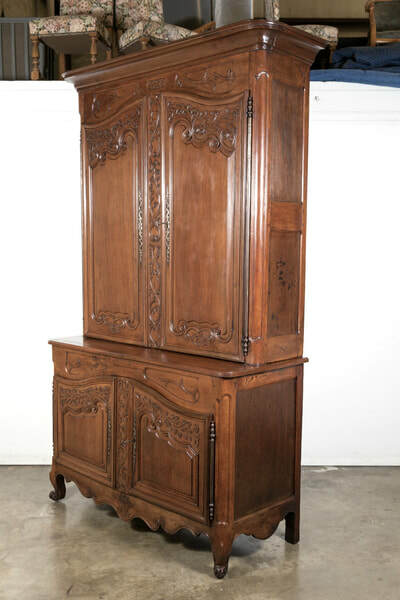 Expertly crafted and sculpted in select French walnut, this period chateau piece features an upper cabinet having a carved frieze just below the cornice with a pair of carved, panel doors that open to reveal three interior shelves and two small drawers. 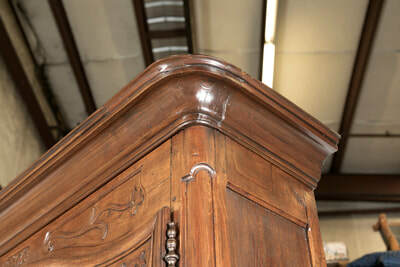 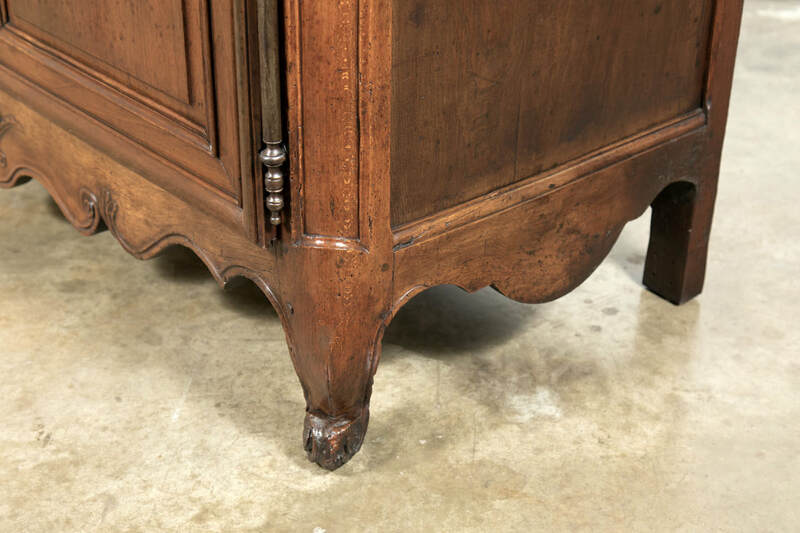 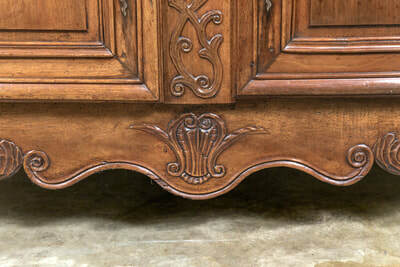 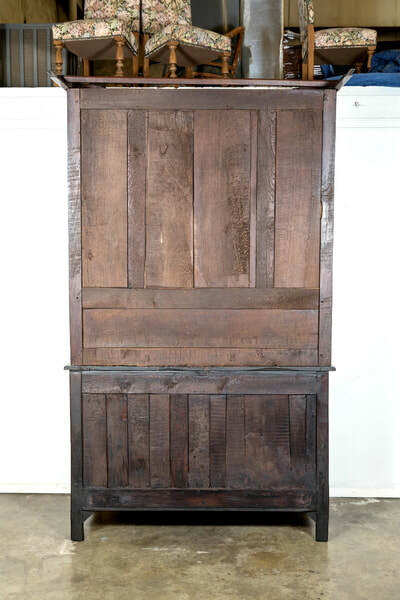 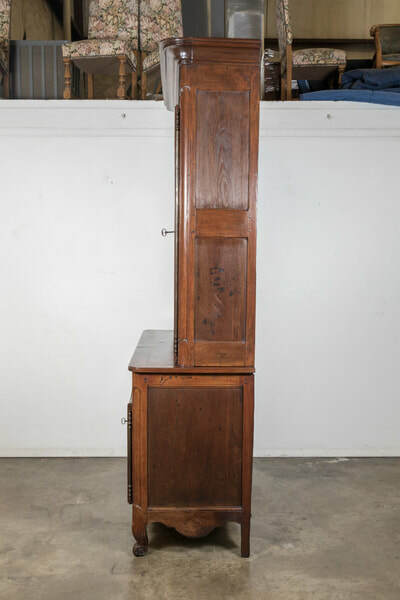 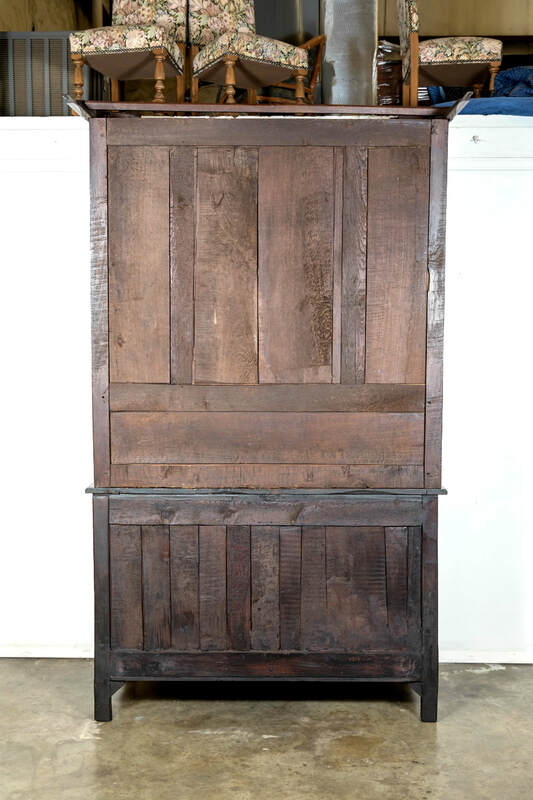 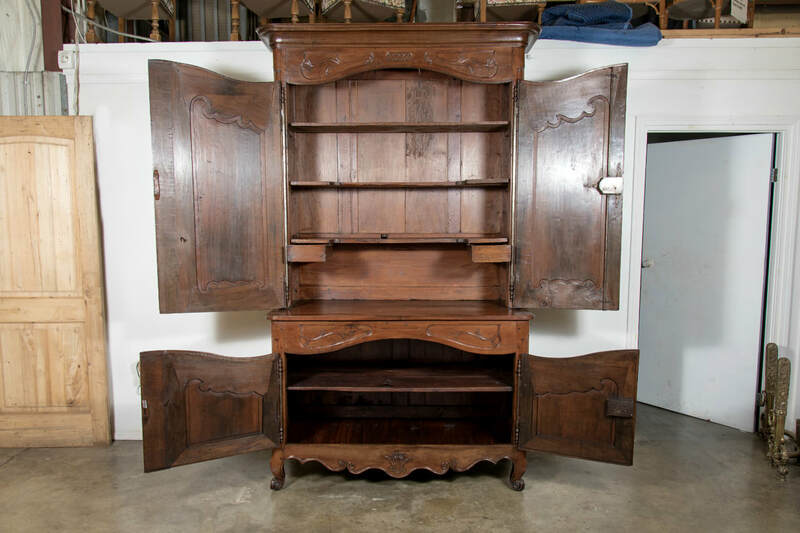 The top cabinet sits atop a lower buffet, also having a pair of carved, panel doors that open to reveal a single interior shelf. 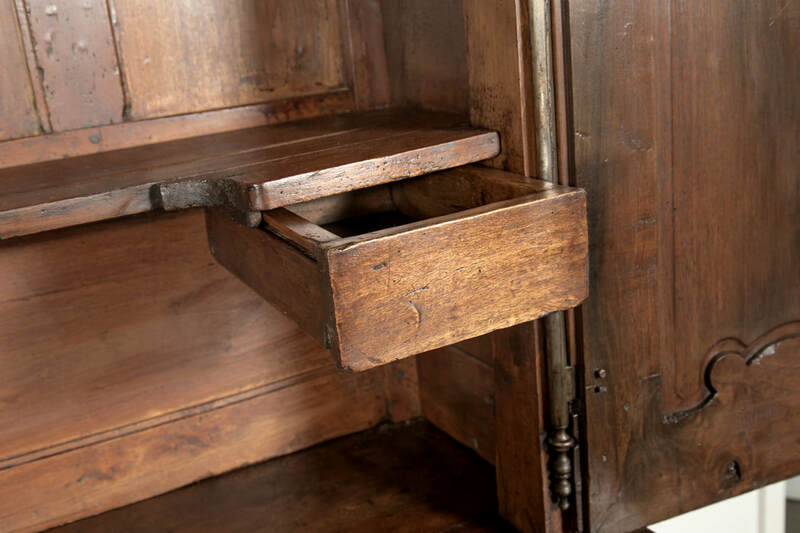 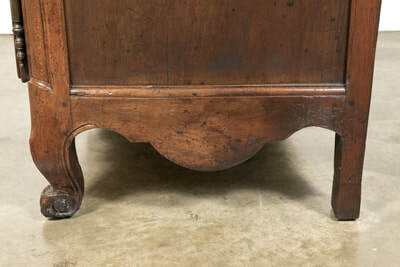 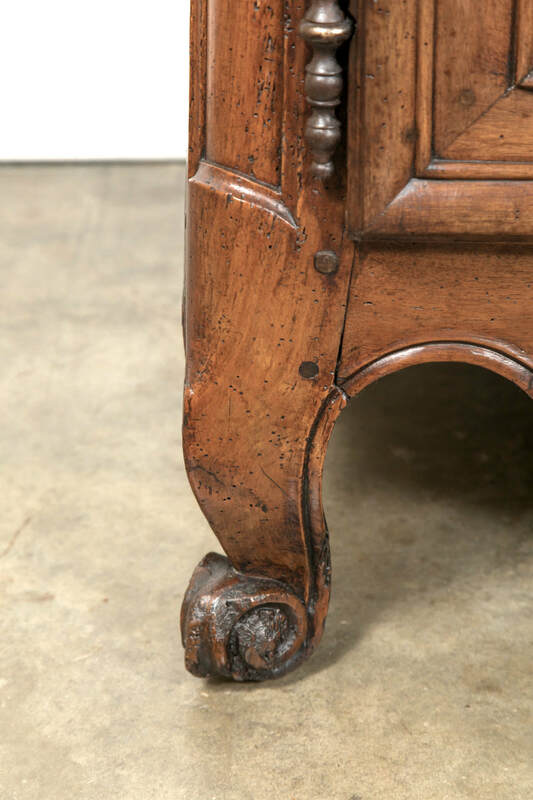 Carved, shaped apron resting on short cabriole legs ending in scrolled French toes. 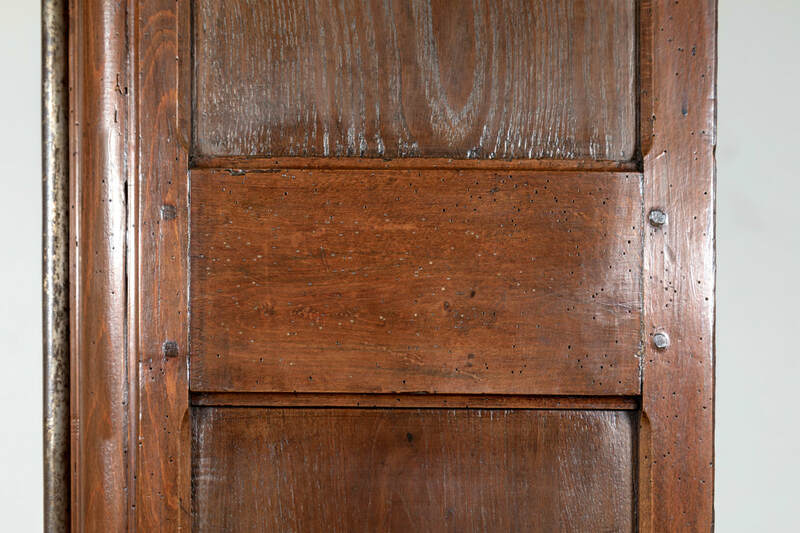 Original iron hardware. The perfect piece for entertaining and storing your china and serving pieces with spacious cabinets, drawers and serving surface. 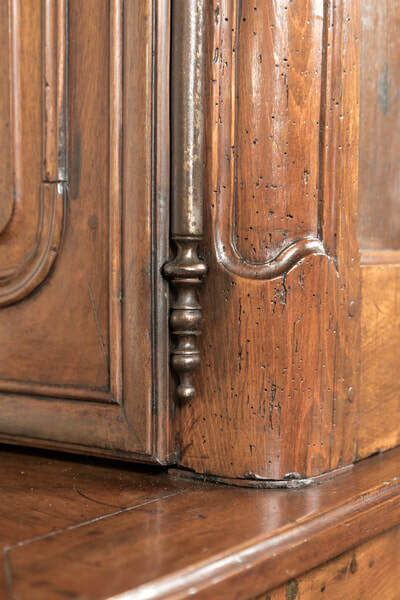 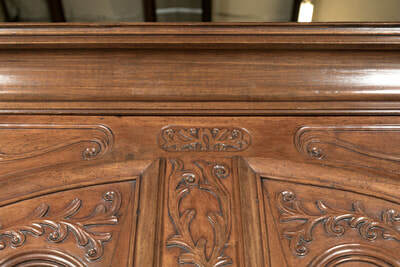 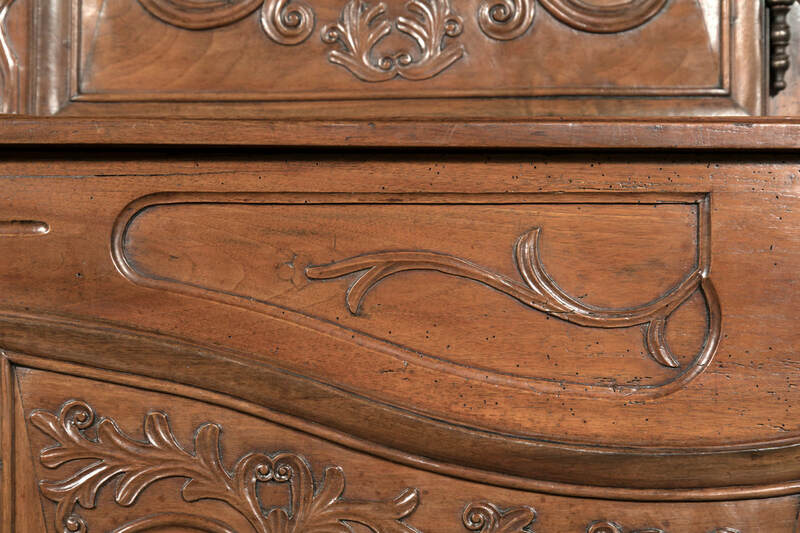 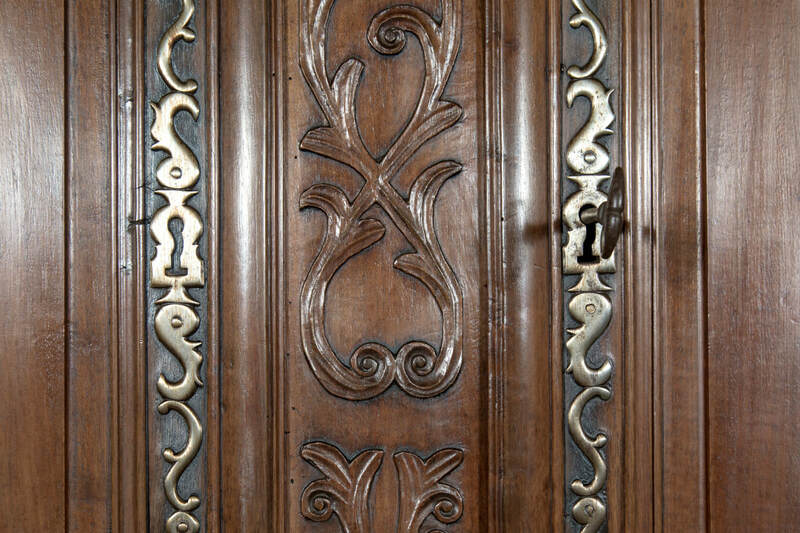 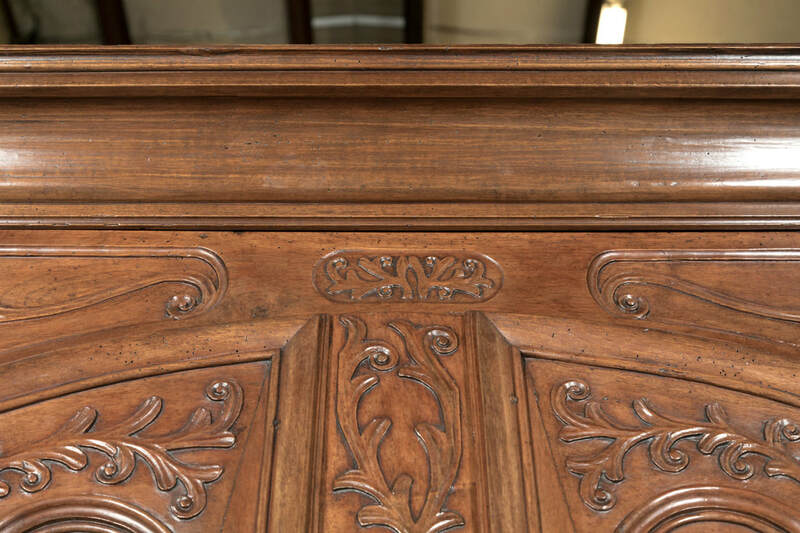 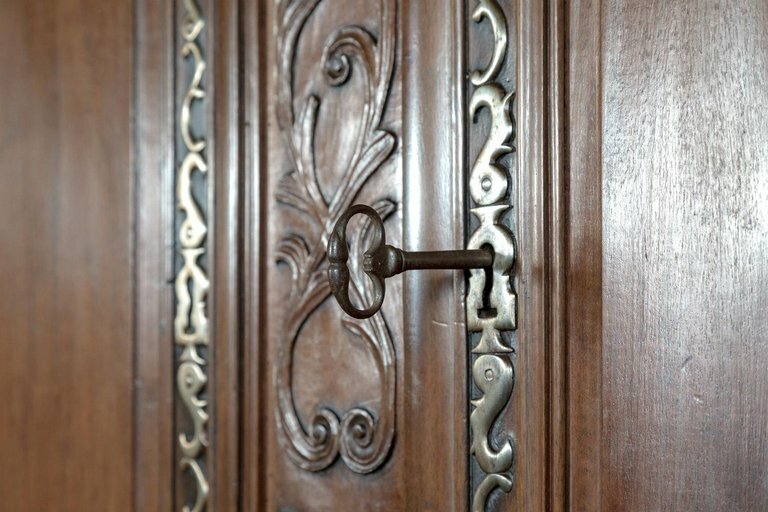 In the Provinces, commissioned cabinetmakers often used motifs which were typical of the province or period rather than what was en vogue in Paris. The wood used for these pieces would have come from trees on the property of the person commissioning them to be made.